Merry Christmas, Twinklebear, my love. As we approach Christmas day this year, mere days after our Second Twin Flame Anniversary of this lifetime, the circumstances of “us” before this lifetime are becoming clearer. More time in this life brings more and greater crystalline clarity, drawn from the ancient and Eternal Well of Wisdom. We have always been there for each other, and have loved each other, forever! Even in this life, when our human selves were unaware of the others’ existence before 2015, our Eternal Selves knew each other and loved each other, and knew this: Underneath, our human selves loved and needed each other—always. We just didn’t know it, before fate purposefully intersected our paths, in 2015. This was true in our other lives, as well–and true when one of us left Earth before the other. When one of us was on Earth, the other was always with him or her. Absolutely true, my love. I feel this with a certainty with my human self mind of this life, in a way that I never could have in early 2015. I believe that you feel this with a solid certainty, too. Merry Christmas, my love. With you with me, as you have always been, since the beginning of time, I no longer fear the infinite, because I know that we face it together. That is why this Christmas is so very festive. This Christmas feels like a celebration of our love—so strong, intense and unbreakable. I truly feel like every day with you is festive, and a celebration of life itself—full of love, laughter and joy! Merry Christmas, my precious love! The Twin Flame idea—that was so abstract in 2015, is so real, and is so all- encompassing now. Merry Christmas, my beloved Twin! We celebrate like never before, because the FULL WEIGHT of what we are, Twin Flames forever, envelopes us like a heavenly cloud, weighty yet ethereal. Unimaginably large, as large as the universe, yet so lovely—so very ours. I love you! Our synchronicities are a constant subterranean reminder of our love. We call them ACCs, but what they really are, are our Eternal Selves crying out to each other…. These are our Eternal Selves watching over us, plotting to allow us to “sense” them, and how much they and we love each other. Celebrate! These “hints” from our Eternal Selves are comforting and warm! I love you and I love your Eternal Self so very much! Merry Christmas my love and to you and your Eternal Self, for I love all of you. Others call our Eternal Selves, our Higher Selves. Perhaps not higher, but certainly more eternal. Our human selves are actually extensions of our Eternal Selves, a temporary “loan” if you will, for a lifetime. Then we eventually return to our True Selves, and our True Eternal Selves are all loving and all wise. Merry Christmas my love, celebrate! We do love each other “forever and a day,” after all my love. Because our Eternal Selves do. They always have and always will. It has always been you, my love, and only you. All throughout time, only you. You are my Twin, Twinklebear Lesley Maclean, and it has always only been you. 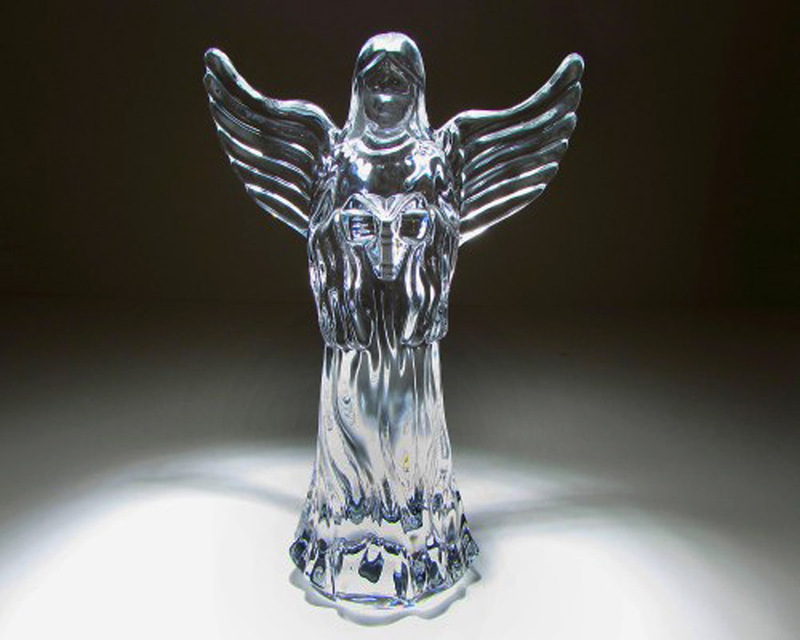 Twinklebear, Christmas for us this year, is a like a twirling crystal figurine of an an angel, whose facets refract light, and make everything around the us brighter. 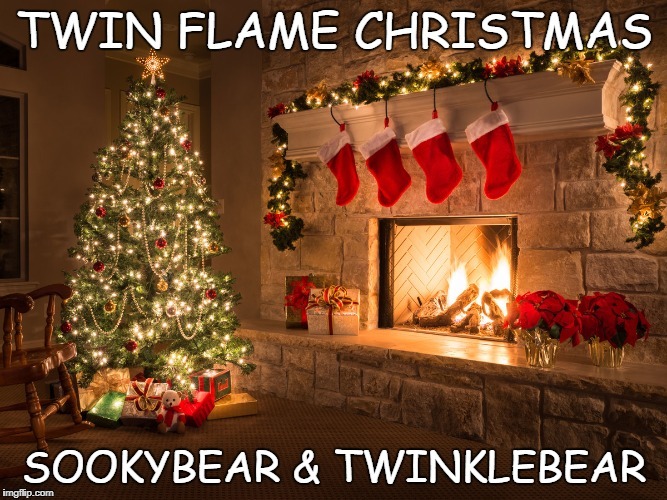 Merry Christmas, Twinklebear! This Christmas angel watches over us, and refracts brightness over the future, and portend a better 2018! I love you, Twinklebear, forever and a day! Twinklebear, my beloved Twin, I’m dreaming of a White Christmas, just like the ones we used to know. Think of all the White Christmases we have enjoyed together, in all of the lifetimes we inhabited—Christmases when we shed tears of joy that we had found each other, in those lifetimes. Just as we have shed tears of sheer joy in this lifetime, that we have found each other….again. These have occurred while gazing into each others eyes, and recognizing each other….yet again. So wonderful ! 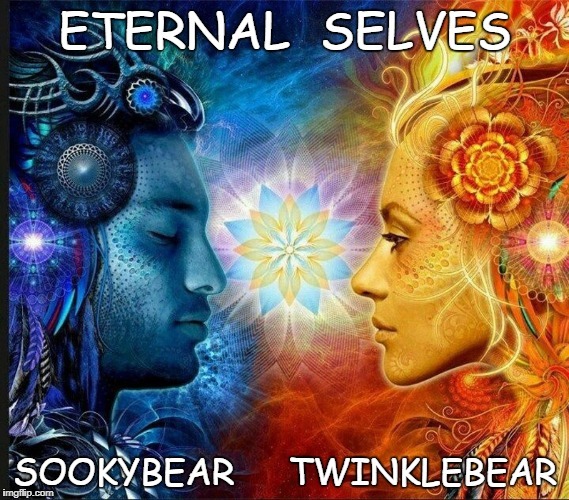 Merry Christmas my sookybear , my Twinflame! I love you in life, previous life, future lives. Always and forever we will be one. Thank you for writing this wonderful, loving, Christmassy memoir. I feel the love, of our ancestors, of our ancient connection, especially when we look into each others souls! We ” soul surf! ” We don’t just look into our eyes. It really is to reconnect, and become one again. I cannot wait for ascension, can you my sookybear? Happy, merry, lovely, brilliant Christmas, to you always my sookybear. Podmates Twinflames 🐻 pact forever! 121212 .